Time for an Air Con Recharge? Nowadays, every second vehicle comes with an Air Con as standard, unfortunately getting it serviced is not part of the routine servicing. That’s why manufacturers recommend an Air Con servicing and Air Con recharge approximately every 2 years in order to assure everything works as it should and to avoid costly failures. While using your Air Con system, it loses around 10-15% refrigerant gas each year and its filter drier works similar to an oil filter: it has a restricted life time of approx. 2 years, so have your Air Con Recharge done in time! If you are not sure how well your aircon is still performing, just call us for a FREE Air Con check and we will advise you on the work that should be done. Get your Air Con Recharge done now! Did you know that your Air Con is not only a great feature in summer but also very handy in winter? As it removes humidity from the cabin, you can use your Air Con to demist windscreens in winter. 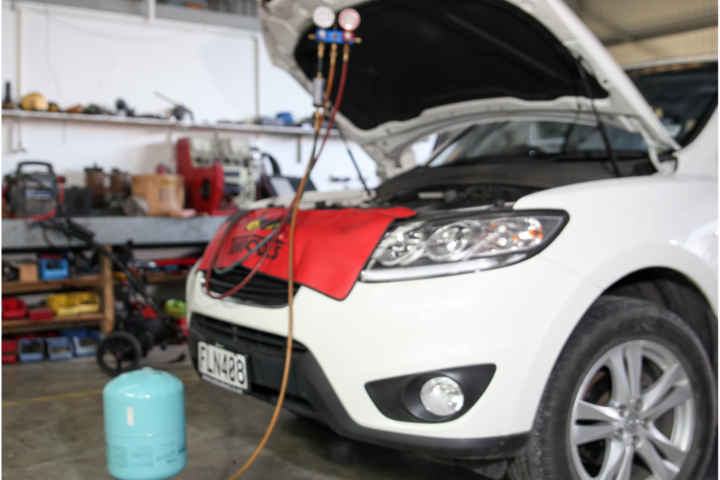 Don’t wait till the last minute to get your Air Con Recharge done, book your vehicle in now! Check also your Oil levels and consider an oil change.